From Blue Devils' Web site: A new episode of Blue Devils' video podcast, "BlueView," has been released. 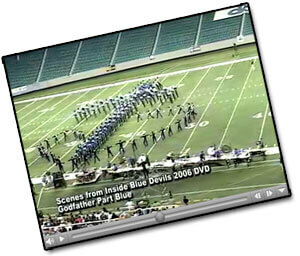 The 13th episode of the program profiles two new Blue Devil DVD products, "Inside Blue Devils 2006" and "Blue Devils Around the World." Check it out on www.bluedevils.org.